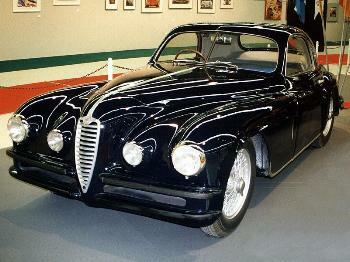 The 6C 2500 Freccia d'Oro (Golden Arrow) is the first postwar Alfa Romeo. The body built by Alfa Romeo is a Berlina (saloon) with 5 seats on 2500 Sport chassis. It has wheelbase of 3,000 millimetres (120 in) and it weights 1,550 kilograms (3,400 lb). With 4-speed manual gearbox this 90 bhp car could achieve top speed of 155 kilometres per hour. 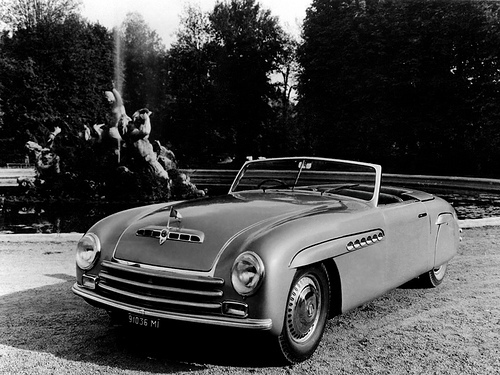 The factory built 80 touring cars, 68 sports cars and 14 two seater convertibles and Coupés. 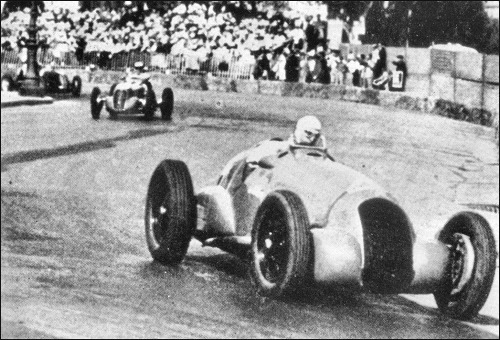 Sommer driving Tipo 308 at GP Nizza.